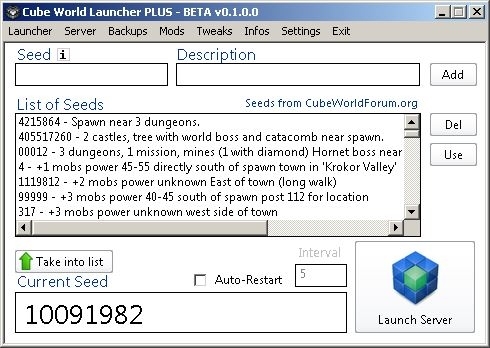 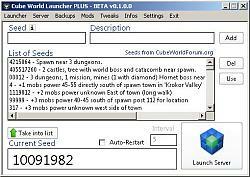 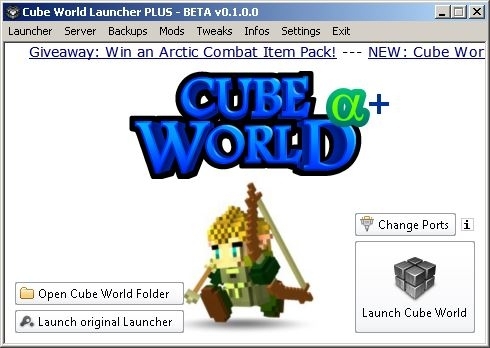 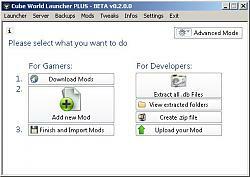 From the creator of WoW Launcher PLUS comes a new launcher for Cube World! 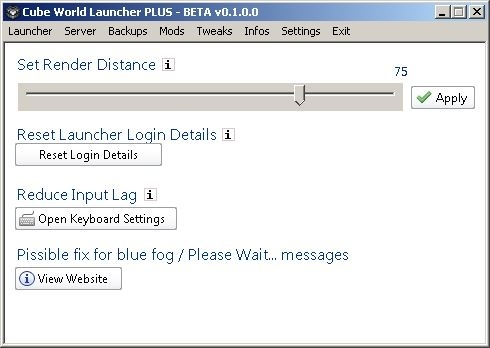 Please use our support forums for bug reports and feature suggestions. 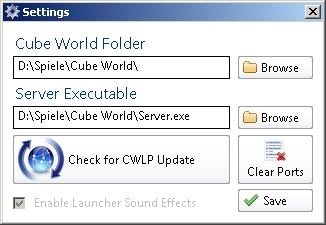 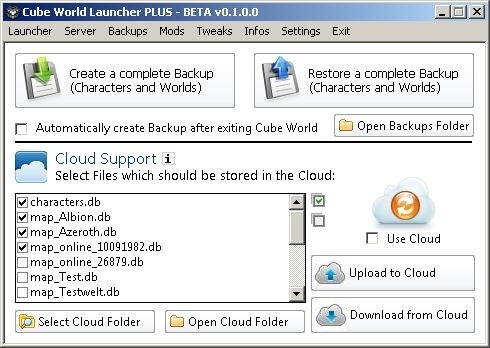 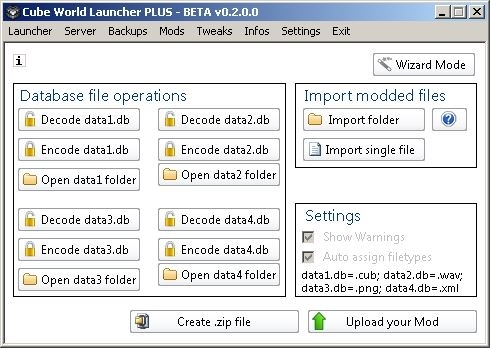 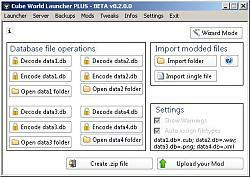 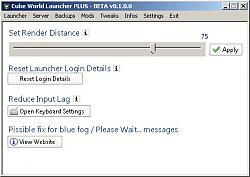 Cube World Launcher PLUS (CWLP) is an improved launcher with many useful features. 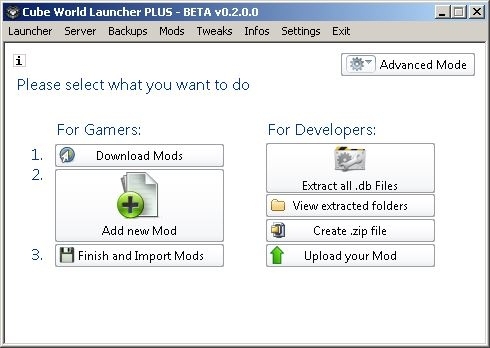 Import Mods or create your own Mod packages. 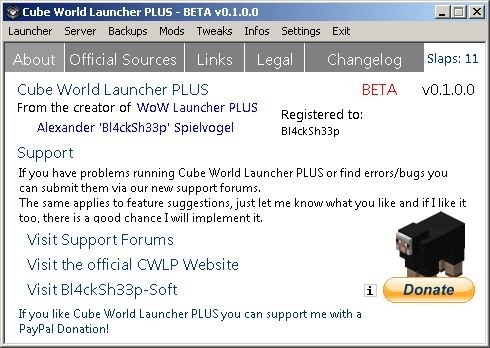 - added link to new support forums to "About"
- added link to Bl4ckSh33p-Soft to "About"
- added "Remove Ads" button for everyone who donated anything to "About"
- improved/fixed Timers for Auto Backup, Cloud and Server Restart - you should now be able to switch between pages after launching the game or server. 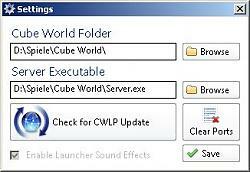 3 hours left to win a CWLP license! 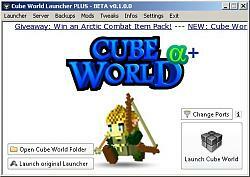 Cube World Launcher PLUS - the improved Launcher for Cube World!